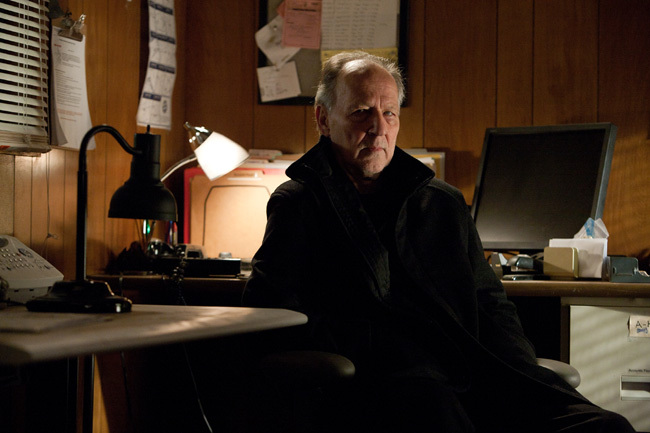 Werner Herzog is The Zec in “Jack Reacher”. Herzog’s psychopathic role as The Zec reminds us of Oscar-winning villains like Javier Bardem in “No Country for Old Men”. Herzog even masters the briefly seen character without physical strength or omnipotent superpowers. His dead-eye face, guttural voice and fingerless right hand – chewed off by his own teeth for survival – deliver palpable fear like a truly nefarious libertine should. 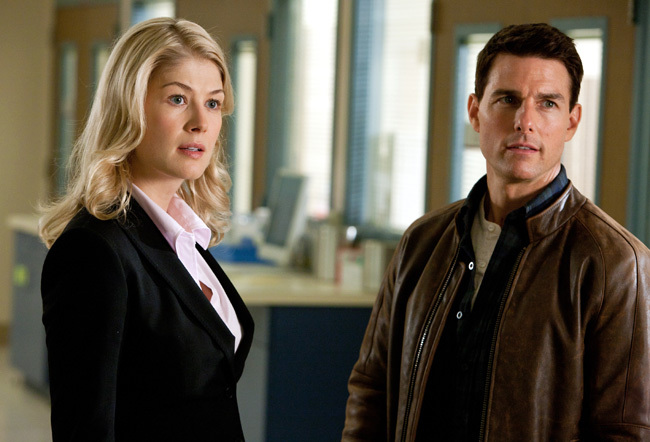 Rosamund Pike (left) and Tom Cruise in “Jack Reacher”. These five or so minutes with Herzog are more intoxicating than the rest of the 125 minutes as he speaks with deliberate enunciation and Germanic precision. You fear every look on his face and word from his mouth even though physically you could likely snap the spine of this decrepit old man like a pencil. 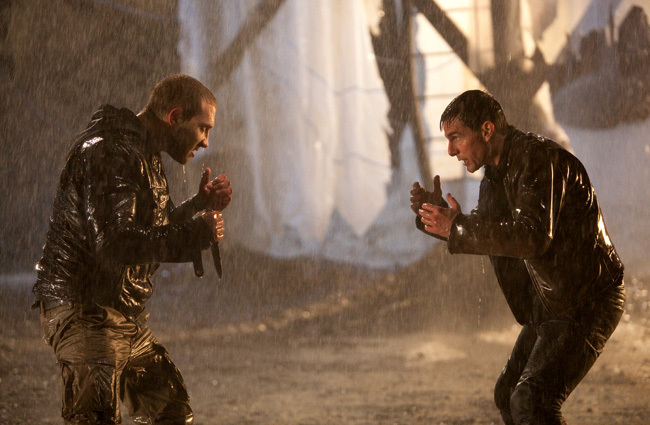 All the while, the purportedly invulnerable Tom Cruise as Jack Reacher delivers all the moves you’d expect from Jason Bourne without any of the believability. Without even harping on the film’s most widespread criticism – that Reacher is written in Lee Child’s novels as a towering 250-pound, 6’5” beast whereas Cruise is 5’7” if you wet his hair and count the tip of a spiky fro – Cruise feels like he’s attempting to emulate someone who’s actually mysterious and physically omnipotent. Herzog, on the other hand, kills it with a mere stare and a few poignant words. 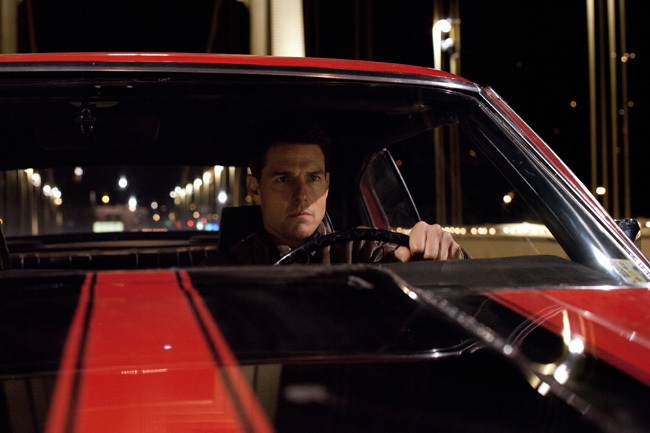 Tom Cruise in “Jack Reacher”. Brad Pitt, Hugh Jackman, Vince Vaughn, Jamie Foxx and Will Smith were all considered for the title role before Cruise was cast in what was originally titled “One Shot” based on Child’s novel of the same name. But it turns out the long-winded exposition of the Reacher character is one we’ve seen so many times before and has been done so much better in countless comparisons. In the end, Tom Cruise’s primary value ends up being the unintended outcome of leading a small-plotted, “big action movie” (that feels more like Power Rangers on steroids) to a compelling antagonist. And you’d actually believe that Herzog really ate his own shoe, dragged a real-life steamship across a real-life mountain and pulled a gun on a collaborator and told him to “act or die”. The biggest logic hole of all is the film’s best villain isn’t even the trigger-happy, Sandy Hook Elementary School-like guy who opens the film shooting six random people in a sunny-day park. And he turns out to be the sole reason why Jack Reacher was called out of his invisible hiding nook in the first place. 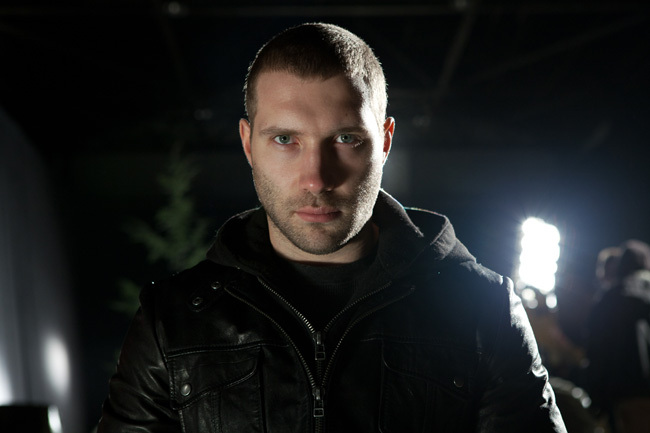 Jai Courtney in “Jack Reacher”. If not for Herzog, some believably evocative moments from the not-hard-to-look-at Rosamund Pike as the damsel in distress, Jai Courtney as a passable sniper connoisseur, an enjoyably lackadaisical Robert Duvall and the always on his “A” game Richard Jenkins, “Jack Reacher” would have been a surefire flop that’d cause even Jason Bourne to want to off himself for even existing remotely in the same genre. Submitted by Andy Kane (not verified) on January 5, 2013 - 1:53am. This review is interesting and fairly accurate.